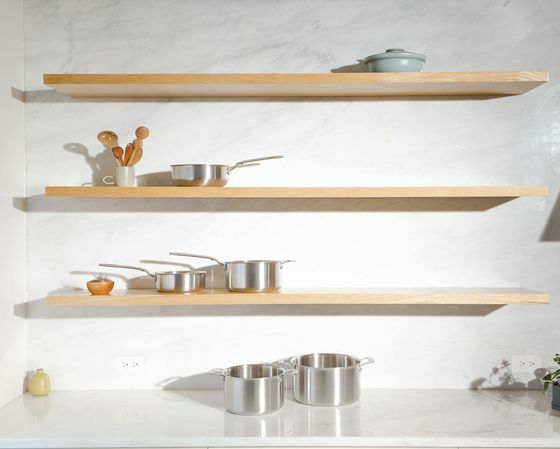 (Bloomberg) -- The direct-to-consumer revolution is coming to your kitchen. 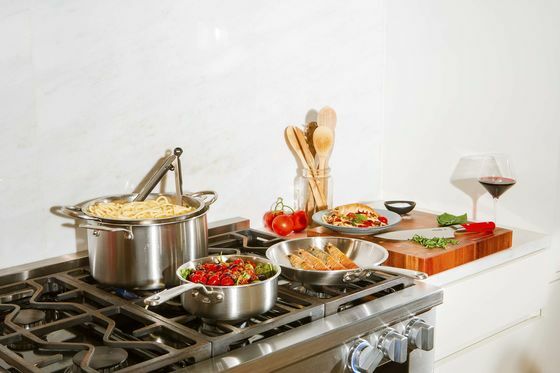 Made In, the Austin-based cookware company, on April 3 announced the closing of a $5 million seed funding round, led by Bonobos founder Brian Spaly. 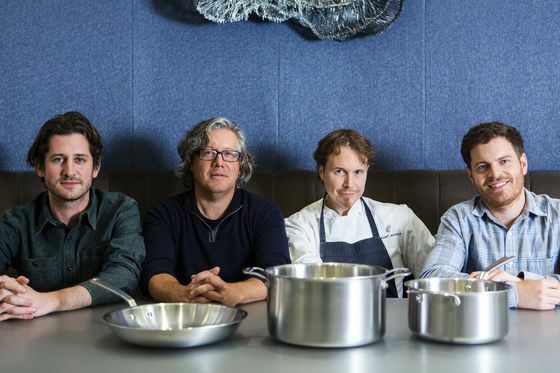 The round included notable food world names such as the Alinea Group’s Grant Achatz and Nick Kokonas and venerable Seattle chef Tom Douglas. 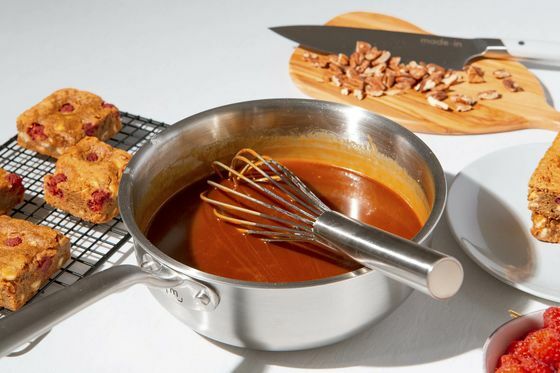 The company joins such brands as Great Jones, which has attracted investment from the likes of Sweetgreen co-founder Nicolas Jammet, as well as the the budget-minded Potluck Kitchenware and Kickstarter-funded Misen in the crowded space. Each brand is approaching a different segment of the market—for now. Great Jones appeals to the eyes, offering pans in pretty colors such as “broccoli.” Even the packaging is whimsical—stamped with illustrations of fruits and vegetables. But some of the aesthetic elements are less useful in practice, like the company’s signature loop handle, which is uncomfortably wide and offers less control when you’re holding a hot pan. Made In stresses utility. Founders Jake Kalick and Chip Malt source the majority of their products from the Southeastern U.S. Pots and pans are made with five layers of aluminum and steel, just like All-Clad’s esteemed D5 line of products. “We polled cooks and found that most people had sets based on wedding registries. But if they have loyalty to one brand, it’s All-Clad,” says Malt. What sets Made In products apart are small details: graffiti-styled labels on the bottom of every pan and plantable paper tags embedded with basil seeds. The knives ship with a brightly colored Band-Aid in the box, a playful hint and testament to their sharp edges. Prices start at $59 for the 8-inch frying pan and go up to $779 (including automatic discount) for the 15-piece Executive Chef package. That’s essentially half the price of All-Clad’s D5 15-piece set, which lists for $1,599 at a discount on the Williams Sonoma website. In our testing, Made In products heated quickly and evenly, whether it was to fry bacon or cook a delicate custard ice cream base. The $69 blue carbon steel frying pan, sourced from France, was a standout. Lighter than cast iron, but with similar natural nonstick properties, the pan took on a dark hue after seasoning, frying and releasing eggs with ease. Bloomberg volunteer testers’ favorite Made In product wasn’t a pan at all. The company’s silicon-wrapped “universal” lid fits snugly on top of its pots and pans. It’s oven safe to 350F and can be tossed in the dishwasher. The last part comes in handy, since the silicon attracts stray dust and dirt. The quality has attracted an audience: In 2018, Made In saw 11.6 times growth; Kalick estimates similar growth for 2019. Kokonas was also attracted to Made In because of its potential appeal to a broad base of customers. “The traditional brands cannot compete with Made In,” he said. “If a company like All-Clad does direct to consumer then the stores that sell them will get undercut—and angry. So Made In can save consumers 50 percent plus while their competition has their hands tied by traditional retailers." 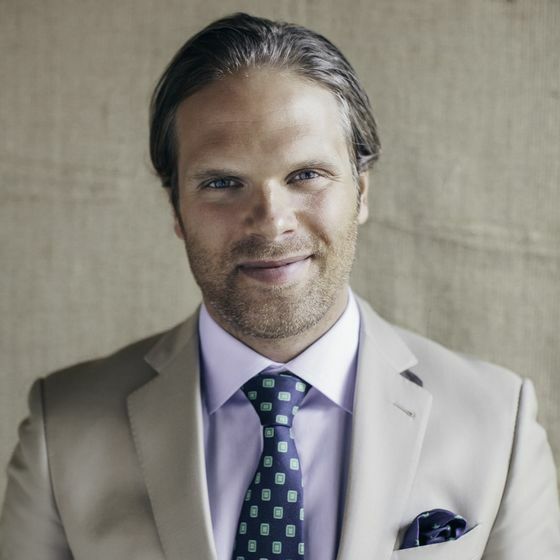 The Alinea Group committed “hundreds of thousands of dollars” to Made In, Kokonas said. In return, Made In is creating specialized products for Alinea’s restaurants. At Roister, where the focus is fire-cooked food, the company is creating French carbon steel cookware as well as a forthcoming U.S.-made cast iron steel collection that goes from hearth to table. It’s also working with other chefs: Top Chef winner Stephanie Izard has collaborated on a carbon steel wok that goes on sale on April 15. Yet this proliferation of choices raises a potential issue for the company: If the success of many direct-to-consumer companies is a small pool of of options—Casper offers only three mattress choices—a broad product line has the potential to confuse consumers.